One restaurant/beach bar that’s always a must visit for me on Anguilla is Roy’s Bayside Grill. Located at the southern end of the beach on Road Bay in Sandy Ground, Roy’s has become a breakfast mainstay for us. The value is tremendous (in my opinion, the best on the island), especially if you’re staying in Sandy Ground and don’t have to take a taxi somewhere. The restaurant sustained a lot of damage from Irma in 2-17 but has come back better than ever. Now with more space, open air dining and further utilization of their entertainment area next door (opened up every Friday for their popular happy hour), Roy’s has a new look with the same friendly laidback atmosphere its longtime visitors have always appreciated. Be sure and check out the “new” tables. They incorporate wood from the previous structure – a piece of the past that helped forge their future. Come for breakfast, stay for happy hour and enjoy the sunset from Sandy Ground. A day on Anguilla doesn’t get much better than that. Want to stay the night? You can in their onsite apartment! License – All rights reserved. 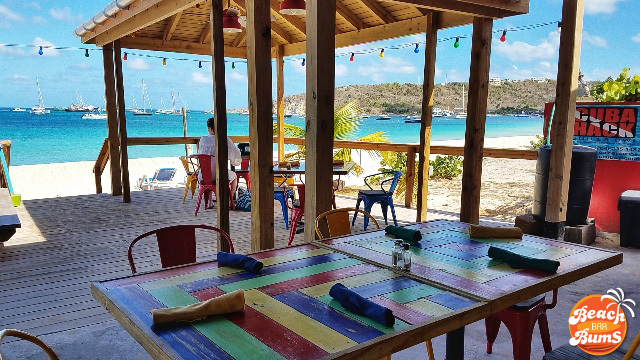 “Originally from England, Roy & Mandy Bossons moved to Anguilla, BWI in 1981 and quickly put their experience as Pub managers to work as they opened a modest Fish & Chips shack beachside at Crocus Bay. This soon grew to the original Roy’s Place which remained open on Crocus Bay for nearly 25 years until Roy’s Bayside Grill opened on Sandy Ground in 2004 and the original Roy’s closed. Now, Roy’s Bayside Grill is the ultimate experience that Roy & Mandy have always wanted to offer their guests. 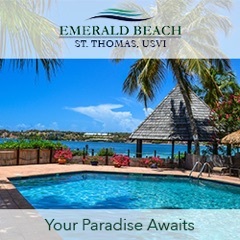 A great beachside location which is more accessible and within walking distance of night life. With the new location came a new grilled fresh seafood and meats menu, but Roy has stayed true to his roots continuing to offer fish & chips and lobster bisque, the items that made him famous! Find out more about Roy’s Bayside Grill. Have you been to this beach bar? If so, let us know what you thought about it in the comments! What a wonderful story, George! One of the unexpected pleasures of traveling is finding your home away from home. I’ve always described seeing Sandy Ground for the first time as “coming home.” When you’re able to find people like Roy and Mandy and then Patrick and Claire and their staff that make you feel even more at home, it’s difficult for any destination, no matter how nice, to top that feeling. Thank you for sharing and maybe I’ll see you at Roy’s someday. Cheers! We, too, love Roy’s! 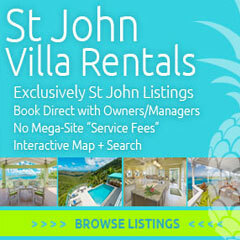 It’s a great travel day place to land as it is close to our Back Street home rental. We enjoy breakfast at Roy’s often and love just chilling in Sandy Ground with one of his amazing authentic rum punches! Jen, I was just telling my wife after we left that I could see spending a whole vacation just hanging out at Roy’s and the other beach bars in Sandy Ground. It’s a special place for sure!